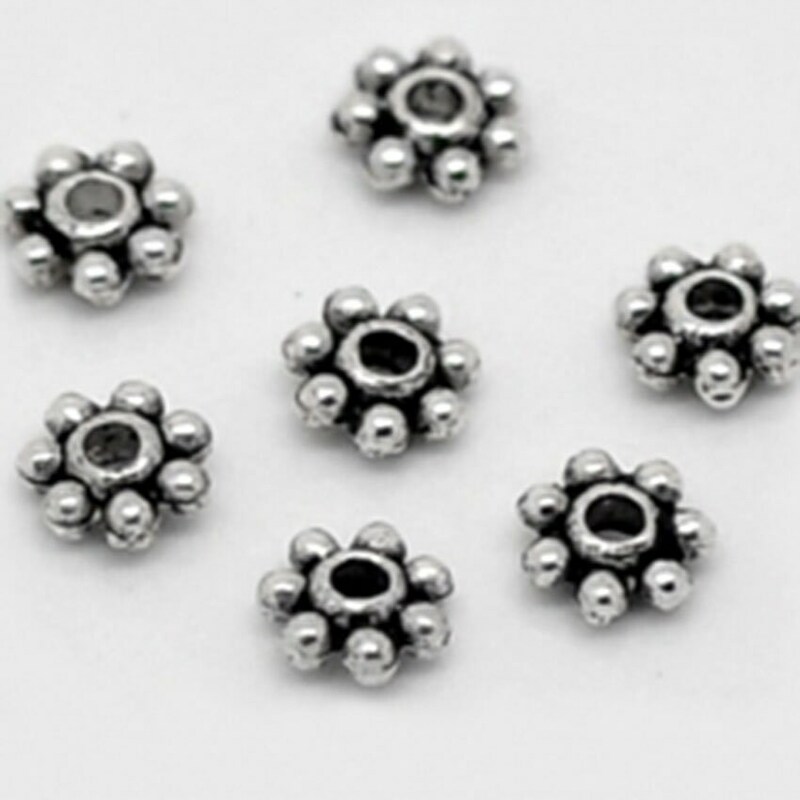 Antique silver pewter daisy spacers 5mm. 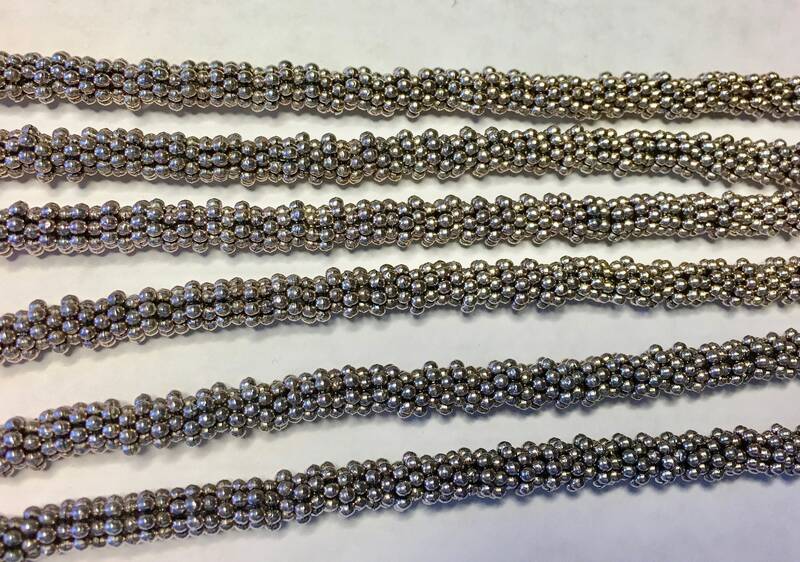 Great for use in-between other beads. Approx. 120 beads.